In the space of two years I been overwhelmed and flabbergasted simultaneously, to receive two honorary doctorates. OK, I've not written this post to brag about that fact, but to share some of my thoughts with you. 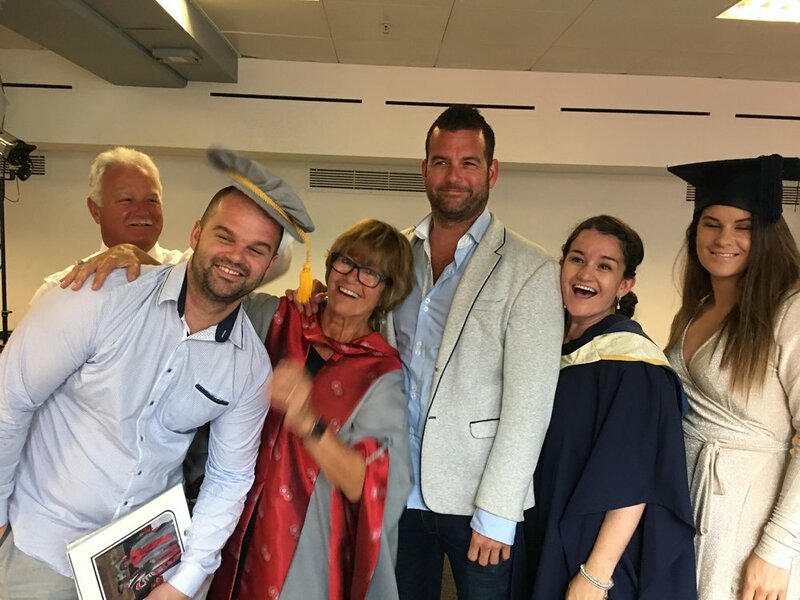 Whilst I was absolutely thrilled when I received the letter for the first doctorate, from Bournemouth University, I actually had to research what the award was. 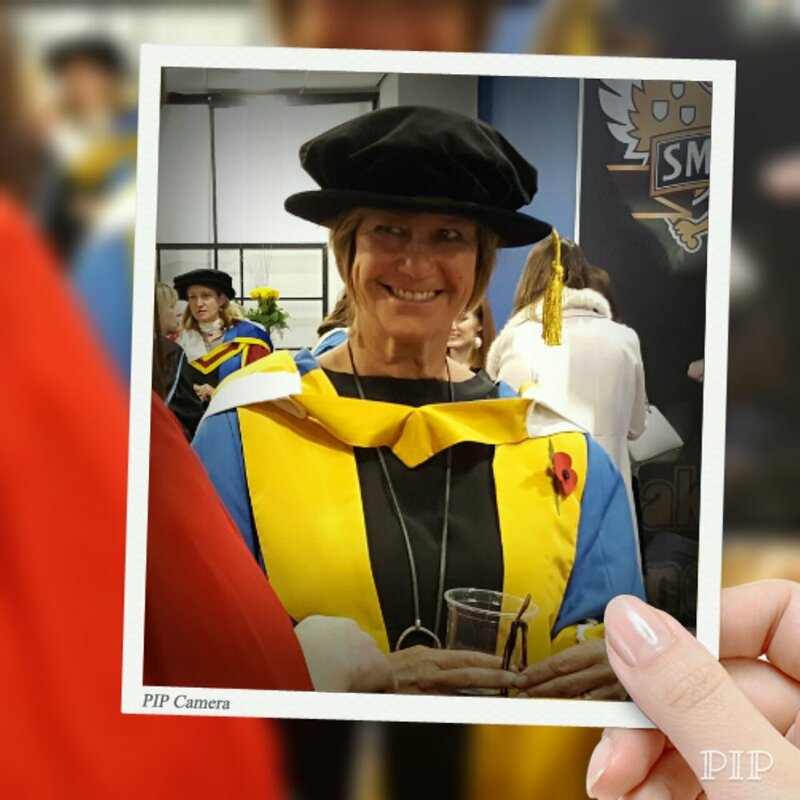 My second doctorate was from the University of Central Lancashire, which is my local university, and the place where studied and gained a Master's Degree, and worked as a consultant midwife. The celebrations for the latter where particularly poignant, as exactly a year before I was targeted in the media, wrongfully. I will be writing about the trauma surrounding this at some stage, to set things straight and to get it off my chest. First of all, I would like to express my thanks to the University of Central Lancashire; thank you for such a humbling citation, and for bestowing this prestigious award on me. This is my local university, and one which I have a deep connection as you have just heard. I am forever grateful. Eternal gratitude to those who are close to me, my husband Paul, children Anna James Tom and Olivia, my sisters and brother in laws, Anne & Peter, Susan and John, Eileen and Denis, Gill and Mark and my dear friends Lynne and Frank. For each of you have influenced by life, encouraged, supported and been there for me. And to our parents, who aren’t with us any more. James, our Irish dad, who passed on a love for fun and friendship. And our beautiful and courageous mother Kathleen, who gave us the example and the capacity to be kind – a quality that is irreplaceable, and holds the potential to change the world. There are others too, who have mentored and guided me, and modelled behaviours that I’ve tried to emulate. There are two special midwives who have majorly influenced my life and my career, I owe so much to Pauline Quinn, my role model and mentor, and to Soo Downe, who is always be my side inspiring, coaching, encouraging, and loving. My attention now must go to those in the room who are graduating on this very special day. Your journey so far will have been both joyous and challenging – I remember it well. During my work I visit universities and talk to students and also connect regularly with many on social media. You give me so much hope – many of you are already leaders, they are our future, and I feel it is safe in their hands, minds and hearts. Recently a student midwife, unhappy with some of her mentors, told me that she would be happier once qualified. I gently reminded her that there will always be challenges and walls to climb, some you will conquer, and others it will be better to walk around. · Remember Love and Science are the two most important things. The skills you have and build on are fundamentally important, but the kindness and compassion you show will make the difference. Your eyes tell a story to the people you care for. · Keep those you serve at the centre of all your actions. Speak up for your rights to have enough time and resources to provide the care you are qualified to give. · Don’t fit in with negative culture. Remember the passion and desire you talked about at your interview to become a student here – the words that got you chosen. Keep them close to your heart. · Remember the importance of authentic, positive feedback. It creates virtuous cycles, take care of yourself, and nurture those you work with. · You are going to be professional servants to the public. More often than not you will be an uninvited guest into a sacred space where people are vulnerable. What you do & how you do it, what you say & how you say it may be remembered for the rest of their lives. · One thing for sure, your work will take you to the core of life itself. Birth and death are most important times for humanity. Everyone is born, and we all die. For the future midwives in the room, birth is a right of passage that makes a difference to women, her infant and her family - socially, physically, psychologically and spiritually. For all the other future health and social care workers here today, you may be dealing with the consequences of how a baby was born. · For those of you going to be midwives, you are hugely privileged being part of an English maternity service. I’ve been to, and studied, childbearing practices around the globe, where women and their human rights are violated. There is no such thing as choice, and obstetric violence is accepted. Please learn more about this, and join in the political quest to influence change. Your voice is needed. As they say, there are two things that define you, your determination when you have nothing, and your attitude when you have everything. So embrace your calling and your work with a smile from your eyes, and courage from your heart. You can and will make a difference, and your work will enrich your life too. It’s now time to take flight, where will you soar? Thank you to the two very special individuals who nominated me. You know who you are.